GoodWorkLabs specialises in development of scalable products and solutions using Angular JS and other JS frameworks such as Ember.JS, Backbone JS and Node.JS, be it for web or mobile cross platform apps. Why develop in Angular JS ? The major benefit of developing applications in Angluar JS is the option to re-use the code. This can be achieved by using Modules, Controllers, Factories and Providers. It provides the sharing of the code within Angular application. It provides Angular Module API which is the root element of every Angular application. It can change the order of dependencies and allow particular dependency to be added. Angular JS also provides ‘unit testing’ and ‘end to end‘ testing features. Karma and Jasmine are the testing tools available to do this operation. It provides a modular and highly scalable code to enhance the speed of development. Why choose GoodWorkLabs for AngularJS development in India and USA? We have the best Angular JS development team in Bangalore India, Kolkata, India and San Francisco Bay Area, USA. We believe in delivering quality products, and all our clients are testimony to the fact. 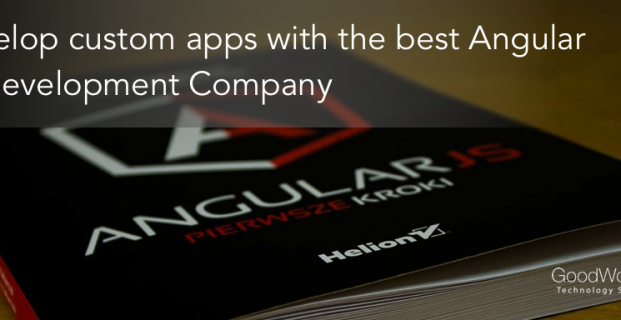 We are different because we have a skilled team who have created amazing AngularJS products again and again. Quality Products: Our super skilled and vastly experienced team of Angular JS developers lend us the flexibility of creating world class products keeping in mind the client’s requirement. Well-Designed Products: Our focus is mainly on the UX aspects, and hence our products are a delight for every user. Our products increase customer retention and satisfaction. Swiftly Curated Products: Angular JS and our expertise allow us to create superior and optimized products with a quick turnaround time. Well-tested Products: We create unit tests while developing Angular applications that ensures the final product is fully functional and bug-free. AngularJS is way more popular, dynamic, and most adaptable by the enterprises. Every project with AngularJS becomes an easier task for the programmer, designer and the developer. Angular JS can be used in any of your application and provides a full and robust way to create a web app and expands it in a matter of minutes! Very easy to understand and is lightweight, so you can use it for any ajax based or single page application development. It is secure so when security is the major concern, developers prefer it. Coders need to spend less time in coding process. Flexible, adaptable and easy to learn. Getting started with AngularJS is incredibly easy. With just a few attributes added to your HTML, you can have a simple Angular app up in under 5 minutes! If you have any Angular JS related queries or need our developers to work remotely for your projects, we can help! Just leave a quick message with your requirements.